Now this is something useful. 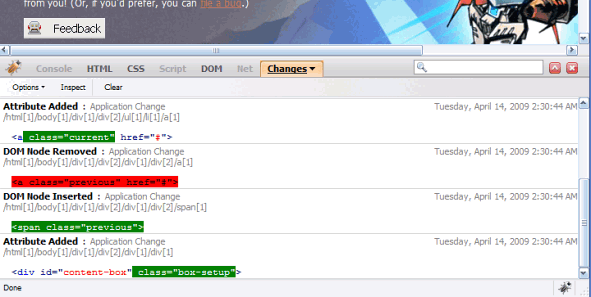 If you were ever confused/overwhelmed with all the modifications made using Firebug then worry no more. A new extension called Firediff (requires Firebug 1.4) tracks all the changes made by firebug and the application itself to CSS and DOM. The latest Firediff release can be downloaded here.